The first workshop I attended at the OCHEC Conference was regarding the book, A Tale of Two Kingdoms, by Heather Kendall. I'd been browsing through the Vendor Hall, and picked up the book, then noticed a recommendation by Dr. G.A. Adams, the late principal of Toronto Baptist Seminary. I figured if Dr. Adams recommended the book, it must be worth checking out. He describes Kendall's book as “lucid and interesting” and written in a “non-technical manner.” Each of the 16 chapters concludes with several “Points to Ponder” making it an excellent choice for small groups, Sunday School classes or personal Bible study. A “Timeline of Key People and Events” and an extensive bibliography for those desiring further study rounds out this engaging treatment of the biblical story. We chatted with Heather Kendall for a few moments, and she mentioned she was about to do a workshop on the book. So off we traipsed, following the author, to hear what she had to say. She began by talking about the importance of understanding the Big Picture in the Bible. Would our homeschooled teens stand firm when they get out in the world, or would they succumb to peer pressure? Statistics demonstrate that the majority of Christian youth leave the faith when they leave home. Heather's desire is to help families teach the truth - the Big Picture - to their children. God's truth is progressive in nature, and the chronological order is important. The New Testament explains the Old Testament, and all Scripture is written by God to reveal Himself to us. An example Heather gave of the difference between the Old and New Testament was in the understanding of the temple. In the OT, the temple was a physical place that people gathered in to worship the Lord God. In the NT, the temple is spiritual - believers are the temple of God. Why Know the Big Picture? 1. God always tells the truth and always keeps His promises. In spite of opposition of Satan, demons and unbelievers, you can count on God to get you through to the end. As we read the Bible and see how God dealt with people, we learn that He is faithful and true, and we learn to not react in bitterness when things go "wrong", but to patiently wait for the end of the trial. ordered in all things and secure. For will he not cause to prosper all my help and my desire? Incline your ear, and come to me; hear, that your soul may live; and I will make with you an everlasting covenant, my steadfast, sure love for j David. God promised to make an everlasting covenant with David. There is no fear of loss here. 3. Urgency for Evangelism. Understanding the Big Picture, that the entire Bible has one theme -that God so loved the world that He gave His only begotten Son, that whosoever believes in Him would not perish, but have everlasting life- makes us want to share this good news with everyone. They are lost in the darkness of Satan's kingdom, but there is hope through the sacrifice of the Son of God! People need to know this. I brought the book home and am using it as a read-aloud with the kids. So far, so good. The one thing I have noticed is that Heather sometimes inserts personal anecdotes to illustrate points she is trying to make. Some of these are not, in my opinion, pertinent to the discussion. I'm sure she was trying to make the reading more personal and enjoyable, but in my opinion they would have been better left out. I attended the OCHEC Conference with three of my daughters this past weekend. I plan to blog in the days to come about each of the sessions I attended. Unfortunately, I came down with strep throat on the day we left, so I felt rotten and had very little energy. Therefore, I only heard a few sessions. The venue (Hamilton Convention Centre) was clean and the event was well-organized. There was fresh water available in GLASSES with ICE - a real plus for someone with a sore throat. The bathrooms were spacious and clean. OCHEC reps were helpful and polite. I have no complaints at all about the administration of the conference. The vendor hall was smaller than I'd imagined. Some of the specific curriculum I was interested in wasn't available at any vendor's table. I was surprised about that. There was a good variety of curriculum, teaching aids, etc., available, and the vendors were polite and not too pushy. If I have any major purchases to make, I'll go to the Learning House. It's local, and I've known the House family for years. It wouldn't do to go elsewhere. I'll blog about the speakers I heard, but to finish off this post, I have to mention the Soenen Sisters. 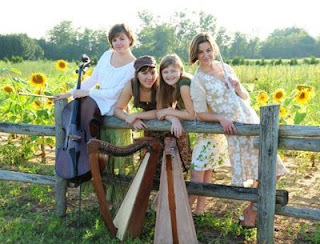 These four young women used instruments and their voices to bless the people. They have a talent that sent chills up my spine and put goosebumps on my arms. What a blessing it was to listen to them. Linda bought one of their cd's, and we listened to it on the way home. All in all, the OCHEC Conference was an encouragement to me this year. I gave my girls an assignment this morning to read about certain OT women, and write about the example they set. Abigail's story is found in 1 Samuel 25, where we read that she was married to a churlish, foolish man named Nabal (whose name actually means "fool"). David's men had been in the wilderness, but they weren't just laying about. They were actively protecting the shepherds and the flocks from marauders. So, when it came time for the sheep-shearing feast, David naturally assumed that the owner of the flocks he had been protecting for quite some time would be grateful enough to show his appreciation for their work by granting them some of the produce. This was a normal cultural practice. It was expected. But instead of doing the right thing, instead of showing appreciation, Nabal did the opposite. He refused to offer any food, and on top of that, he spoke in a derogatory manner about David being the son of Jesse, thereby incurring David's wrath. David was a man of war, and he had every intention of going after Nabal and every male under him. This he set out to do. Abigail was discerning and beautiful. God gave her the gift of discernment, which means she knew right from wrong. She understood that Nabal was wrong to not provide food to David's men. It was the custom, and it should have been done in payment for protection from thieves and robbers. When Abigail was told of David's plan, she worked quickly. She didn't take a lot of time, but "made haste" and gathered a lot of food. She was a quick thinker, and a fast worker. She managed her household well. Her young men obeyed her and went ahead with the donkeys, laden with food. "She did not tell her husband Nabal." This indicates that Abigail was wise. There is a time to speak, and a time to be silent. When dealing with a foolish man, especially one who is drunk, it is wise to wait and speak later. She rode. That means, she was physically fit and skilled enough to ride down a mountain! First, she humbles herself and takes responsibility for the actions of her foolish husband. 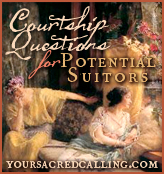 She speaks truthfully about Nabal, but reminds David that he's not worth the trouble. She says that if she had known of the request, she surely would have honoured it, and she gives glory to God for restraining David from bloodguilt, urging him to accept the gift and praise the Lord with her. A wise word from a wise lady. She also acknowledges that God is with David. Her gift of discernment has given her the ability to see that God is protecting David, and that some day David will be "prince over Israel". And when that day comes, she pleads, "remember your servant". God blessed Abigail with beauty and discernment, with wisdom and skill, with action and humilty. When she told Nabal what she had done, his heart was like a stone, and he died 10 days later. In that culture, Abigail would have been left without provision - Nabal was not a wise man. However, God provided through His servant David, who sent word to Abigail that he would marry her. And Abigail hurried and rose and mounted a donkey, and her five young women attended her. She followed the messengers of David and became his wife. She did not question God's will. She hurried. She went and became David's wife. When our lives take a sudden turn for the worse, when calamities come and fear and dread set in, how do we react? Are we like Abigail? Wise, discerning Abigail? Do we trust the Living God to provide our every need? Do we do what we can, and trust God for the rest? Oh, Lord, make us more like Abigail. It fills me with a stillness free from care. It c omes because He took pain in my stead. And I am separated from my sin. I am proclaimed as my Father's child. A Holy God can't stand the deeds of men. Because of this there was a sacrifice. A quiet stirring nestles in my heart. Christ, the Lord and Saviour, died for me. May you see your children's children! Our children are having more children. I can't tell you how blessed this makes me. All I can say is that when our grandson Wesley was born in the wee hours of this morning, my heart was filled with joy and thanksgiving. God's steadfast love is upon ME, and upon my children, and my children's children. I have been showered with the privilege of not only seeing my grandchildren, but investing time in their lives. God has given me days of cuddling, of teaching, of admonishing, of training this new generation. I have been able to see them grow, not only in stature, but in knowledge of this world and its Creator. A good man leaves an inheritance to his children's children. I pray that the inheritance our grandchildren receive from us is one of wisdom and knowledge. I pray that their precious eyes will be opened to the truth that God made them, that He formed them in the secret place of their mother's womb, and that they ought to be grateful. I pray that they will look up and see not just stars, but stars put there as a feast for their eyes by a God who loves them with a steadfast love. Welcome to the World, Wesley Scott. Granny loves you. do not withhold thy gracious bounty from me. keep open the door of thy heart to my need. the law of love my rule. my unimproved advantages, thy commands violated by me. that his Spirit may pervade every fibre of my being. Then send me out to make him known to my fellow-men. ...and it seems the Lord wants me to develop it in my life. We are all waiting, patiently, for Rachel to birth this baby boy she is carrying. This pregnancy seems to be lasting FOREVER. This is because Rachel was two weeks early with the twins, and five days early with two others. She does not. go. overdue. At least, she didn't. And we wait. And pray. And wait some more. Stacy McDonald has written a brilliant post on the growing problem of "watch-blogging". She called it "Truth Hunt or Witch Hunt". Go there. We settled in this evening to watch a movie called A Flash of Genius. It's the story of an American college professor who invents the intermittent windshield wiper. Together with a friend in the automotive industry, he approaches the Ford Motor Company, desiring to manufacture the wiper motors himself and partner with Ford. Ford backs out, leaving him with nothing. The movie was worth watching for the life's lessons taught. It showed a man determined to get what was fair - to get recognition for what he had invented - but at what cost? Robert Kearns, the inventor, spent a lifetime trying to prove he was right. He lost his wife, and the battle became his entire life. Maureen Kearns said her father's home was filled with legal files. After a point, she said, "his life was simply this battle." He acted as his own lawyer during much of the long battle with the car companies. It wasn't just about the money, but he wanted to become a major manufacturer and make the devices himself. U.S. District Judge Avern Cohn presided over the trials. "He was feisty, determined and he established the fact that he made a contribution to the auto industry that was unique," Cohn said. "His zeal got ahead of his judgment." The film left me saddened. Oh, it was good that he won his court battle, and that he got some measure of recognition. But the cost was too high. And what does it profit a man to gain millions of dollars and recognition, yet forfeit his marriage? when the redeemer's foe lay crushed in the dust. free, and triumphant over sin, Satan, and death. that his wrongful throne is levelled. in his ascension I shall be glorified. art ascended to highest heaven. art now as Lord of life wreathed with glory. no agony more bitter, no death more cruel. no life more glorious, no advocate more effective. Thou art in the triumph car leading captive thine enemies behind thee. thy ascension my hope, thy prayers my comfort. Townend is right—it was not the nails that held Jesus to the cross. He could so easily have escaped the cross and, even if He decided to go there, could just as easily have escaped from the cross. He could have stepped down and watched as His angels gained vengeance on the heartless men who had nailed Him to that tree. But He did not. Jesus remained there until the work was accomplished. He stayed there until He had done the work His Father had assigned Him. He stayed there until He had secured the redemption of all of His people. It was not the nails that held Him, but His love for the Father and His love for us. It was my sin that held Him there in the deepest expression of love the world could ever know. It was death by love. The grandchildren were sitting there, wide-eyed, thinking about this. I do sin with my hand...should I cut it off? I do sin with my feet...I've kicked my brother, and run to play instead of obeying Mommy....should I cut off my feet? And I've used my eyes to look at cartoons when I'm supposed to be doing my math. Does Jesus really want me to cut out my eyes? We adults - parents and grandparents - assured the children. No, you don't have to cut off your hands and feet. You don't have to pluck out your eyes. That's not going to solve anything, now is it? You'll just keep on sinning. The problem is bigger than that. The problem is in your heart. Grandboy nodded. He understood, the problem is in his heart. You mean I have to cut out my heart? Well, you can't do that, can you? No. They all agreed. We can't cut out our hearts. There's nothing we can do. This is serious stuff. That's why Jesus says those shocking statements. Cut it off, pluck it out. Get rid of it. If you don't, you won't be getting into heaven. But we can't cut out our hearts. We need Someone to rescue us. Jesus. Saviour. Heart Surgeon. He cuts out the heart of stone, and replaces it with a new heart of flesh. And I will remove the heart of stone from your flesh and give you a heart of flesh. Jesus is praying for ME! But it's true. It's one of the glorious facts of the gospel. Our Saviour lives to make intercession for us. Why does He have to pray for me, you might ask? Because the Enemy desires to sift me like wheat, just like he wanted to sift Peter. And I know it. I feel the whispered temptations to do those things which are a mediocre waste of time, instead of redeeming the time by doing those things which count for eternity. I hear the snide accusations of failure as I hang my head in agreement - yes, I said that wrong thing, yes, I did that awful deed, yes, I thought that terrible thought. But then, I remember. Hebrews 7:25 Consequently, he is able to save to the uttermost those who draw near to God through him, since he always lives to make intercession for them. Do you thank Jesus for his intercession? Do you thank him for his glorious righteousness? Do you thank him for his commitment to you? Oh, it is true indeed, he is a far better Savior than we think him to be. You and I would be a Judas in an instant, selling Jesus out for a handful of pocket change and some temporal props, if it was not for Jesus and his faithful intercession. As the Good Shepherd pivots to Calvary he has his beloved sheep on his mind, he was and is praying for his sheep. And so we thank him with humble joy, for he is glorious. then floating off, as the sun's rays dimmed. in these pages of words. pressing in on you to make their broken bodies well. to be at that table. In family devotions we are reading the book of Mark together. This is no rapid read-through. Rick takes his time, taking apart the verses line-by-line, word-by-word. In this week leading up to Easter, we just happen to be reading Mark 15. It struck me as I listened to my husband read the chapter aloud to the family that Jesus did not have to be silent. He stood silently before Pilate, condemning the governor's weakness, his desire to please the Jews and keep his position with Rome. After His one affirmation that He was, indeed, the King of the Jews (You have said so - a good confession - see I Tim. 6:13), He stood silent, fulfilling Isaiah 53:7. He was lead like a lamb to the slaughter, and like a sheep before his shearers was silent. Mark 15:2 And Pilate asked him, “Are you the King of the Jews?” And he answered him, “You have said so.” 3 And the chief priests accused him of many things. 4 And Pilate again asked him, l “Have you no answer to make? See how many charges they bring against you.” 5 But Jesus l made no further answer, so that Pilate was amazed. I am amazed, too, but for different reasons than Pilate was amazed. I am astounded that God the Father let this happen - no, that He purposed that it should happen. It leaves me awestruck that Jesus didn't call down fire from heaven to burn up Pilate, Barabbas, the Sanhedrin, and all of the wicked crowd who ignorantly called for His blood to be on their heads, and on those of their children. Haughty Eyes Can any eyes be more haughty than those of men in authority? The Chief Priests, the Sanhedrin, the Scribes and the Pharisees all considered their authority to be of utmost importance. They challenged Jesus' authority, and called him an illegitimate Nazarene. And when he entered the temple, the chief priests and the elders of the people came up to him as he was teaching, and said, “By what authority are you doing these things, and who gave you this authority? A Lying Tongue - Those that accused Jesus lied repeatedly. Mark 14:56 For many bore false witness against him, but their testimony did not agree. Acts 2:23 this Jesus, delivered up according to the definite plan and foreknowledge of God, you crucified and killed by the hands of lawless men. A Heart that Devises Wicked Plans - They plotted together to kill Him. Matthew 26:3 Then the chief priests and the elders of the people gathered in the palace of the high priest, whose name was Caiaphas, 4 and plotted together in order to arrest Jesus by stealth and kill him. Feet that Make Haste to Run to Evil - Judas was told to go quickly to carry out his evil plan. One Who Sows Discord Among the Brothers - Stirring up the people. Pilate wanted to release Jesus, for he found no fault in Him. But the leaders would have none of that. Mark 15:11But the chief priests stirred up the crowd to have him release for them Barabbas instead. God hated the betrayal. He hated the lies. He hated the discord, the haughty eyes and the wicked plans. Don't for one minute think that any of that pleased Him. Yet, as the KJV puts it, "It pleased the Lord to bruise Him." Or as the ESV puts it, it was the will of the Lord to crush him. God did that which He hated with a fiery passion, in order to save those He loves. Jesus didn't have to stand there, taking the mocking and the spitting and the scourging. He didn't have to listen to the false witnesses, hurling accusations at Him, while He stood there, innocent of all charges. He didn't have to endure silently the plucking out of His beard, while the torturers demanded that He should name them, even as their names whirled around in His head. He didn't have to. But He did. He did it out of obedience to the Father. He did it out of love for those He was saving. Our Great God did not have to ignore those things that He hated. He didn't have to turn His back on His Son, His only begotten Son, His sinless Son with Whom He fellowshipped from the beginning. But He did. He did it because it was the only way to pay the price of sin. The wages of sin is death. But the gift of God is eternal life, through Jesus Christ, His Son. He did it for me. Fraud is Deceit...I create trust in you, then betray that trust, and get you to give me something of value. Calculated dishonesty revealed. "The financial industry brought the economy to its knees, but how did they get away with it? With the nation wondering how to hold the bankers accountable, Bill Moyers sits down with William K. Black, the former senior regulator who cracked down on banks during the savings and loan crisis of the 1980s. Black offers his analysis of what went wrong and his critique of the bailout." For months now, revelations of the wholesale greed and blatant transgressions of Wall Street have reminded us that "The Best Way to Rob a Bank Is to Own One." In fact, the man you're about to meet wrote a book with just that title. It was based upon his experience as a tough regulator during one of the darkest chapters in our financial history: the savings and loan scandal in the late 1980s. Take the time to click on the paragraph above to understand how banks have deliberately set out to make bad loans in order to produce great personal wealth in the bankers and CEOs of the banks. Be not deceived. God is not mocked. Whatever a man sows, that will he also reap. I have been following with a great deal of interest the current world-wide economic woes. I have read about President Obama's plan to stimulate the economy by "investing" TRILLIONS of taxpayers' dollars in dubious projects, such as shoring up the banks. I have watched YouTube videos explaining how a switcheroo can take debt that ought to bankrupt the banks and can place it squarely on the shoulders of the taxpayers. On top of economic issues, there are the issues of Freedom of Speech, or lack thereof, right here in Canada. I just read Ezra Levant's eye-opening book, Shakedown, which exposes the Human Rights Commissions in Canada for the Star Chambers they are. In reality, they are not about human rights, but about the rights of whiny individuals to not be offended by someone else's beliefs or comments. Of course, there are always wars and rumours of wars. More Canadian soldiers have lost their lives in Afghanistan, and for what? So the powers that rule that country can agree that a woman is not allowed to leave her home without her husband's company? So women can be told that they are NEVER permitted to deny their husband's sexual advances? He complained about the violence he witnessed(Afghanistan? ), about the lack of justice (Human Rights Commission?). And the Lord responded - don't worry, Habakkuk. I control the Chaldeans as well as the Assyrians. I am using them as I see fit. The answer is on its way. Even if it seems to be taking forever... it will surely come. The soul of the ungodly is puffed up. He thinks he is in control. But the truth is, none of us control anything. We cannot guarantee our next breath. We have no control over whether or not we'll wake up tomorrow morning. But the righteous does not live "puffed up". The righteous does not think he can spend his way out of debt. He does not think he can circumvent the laws of the land to get his agenda pushed through. He does not arrogantly make laws that enslave women. The righteous lives by faith- Faith In the Ever-Living God. Woe to Obama, who heaps up debt for the people. Woe to the bankers, who loaned money to those who would not be responsible and pay it back. Woe to the Human Rights Commissions who spent Canadian taxpayers' funds to pursue innocent men for a ridiculous cause. The whole earth WILL be filled with the knowledge of God, as the waters cover the sea. I wouldn't want to be in the shoes of the guilty when that day comes. Habakkuk goes on to acknowledge that he fears the Lord. He knows that God is in control, and that the wicked will not go unpunished, so he cries out to God, "in wrath, remember mercy." Were it not for the mercy of our Beautiful God, we'd all be without hope. God's ways are still the everlasting ways. He is not impressed by the G20 leaders and their empty rhetoric. He is not concerned about the red tape of government bureaucrats who are vying for ever more power. This God will move on our behalf, when He is good and ready. Meanwhile, we wait. We trust. We know there are hard times ahead. Yet we rejoice. We rejoice in God, our Saviour. I do. I admit it. I have poetry in my soul. I love to read poetry. I ponder it, meditate on it, memorize it, enjoy it. The Bible is full of poetry. Say the following verses out loud, and listen to the "beat" (the meter). I am thankful for others who have poetry in their soul. I am not alone in my love of words, chosen carefully, joined together to paint a picture that resonates within. Ann Voskamp has poetry in her soul. She just wrote about her farmer Dad, whose very being is poetry. Tilling the earth has rhyme and reason, times and seasons. Watching the shoots poke out of the hard sod, stubbornly seeking the life of the Light-that-shines-by-day is experiencing living poetry. Old farmers understand. Jacqueline also understands that understanding poetry is good for the mind, so she started a new blog for Canadian Homeschoolers, CHEBC NATIONAL POETRY BLOG. Go and visit. Know that every good and perfect gift is from above, and comes down from the Father of Lights.